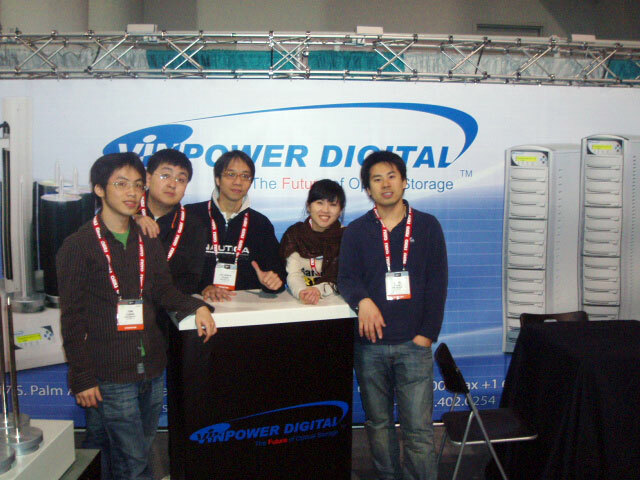 We arrived in Las Vegas on Saturday, January 5th, so we could put up the booth. We arrived at night, so we just unloaded our product at the booth and went for dinner with all the team together. After that, we try to relax for a while. Some of our team tested their luck and went to the Casino to play Black Jack. I think Nogard won some money, but some, who will remain nameless, loss big. We met up the next day at the buffet in the Paris hotel for lunch. We ate a ton of seafood, which was very tasty. After lunch, we went directly to the show floor so we can start decorating our booth. 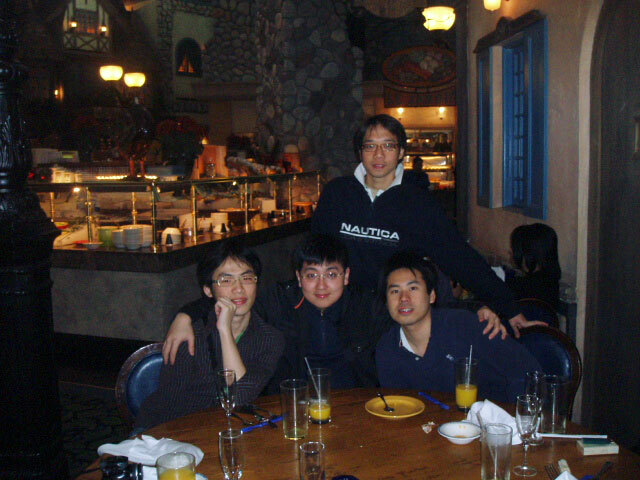 In the early evening, Ryan, Calvin & Mandy arrived from Los Angeles. We finish setting up the equipment and decorating the booth. Afterwards we went to have dinner and prepared for the next day, the start of CES. Sunday, decorating the booth & organizing information for the show. The first day at CES was successful but also very tiring; many interesting people came to visit our booth, impressed with our new product releases. 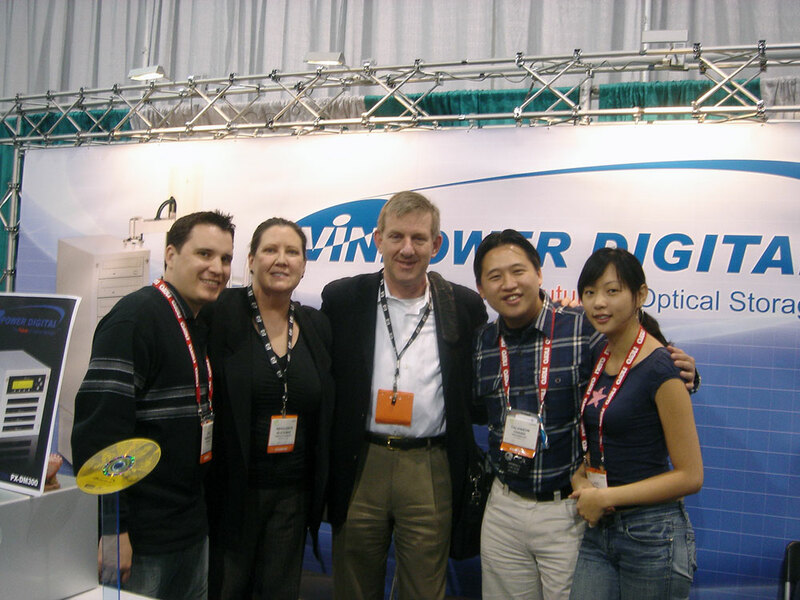 We also went to visit some of our customers that were exhibiting at CES as well. The Second day was much like the first, except we had more visitors. Many were existing resellers, as well as a number of previous resellers who havenâ€™t bought from us for a long time. Both the current and previous resellers came to our booth to check out our exciting new releases. 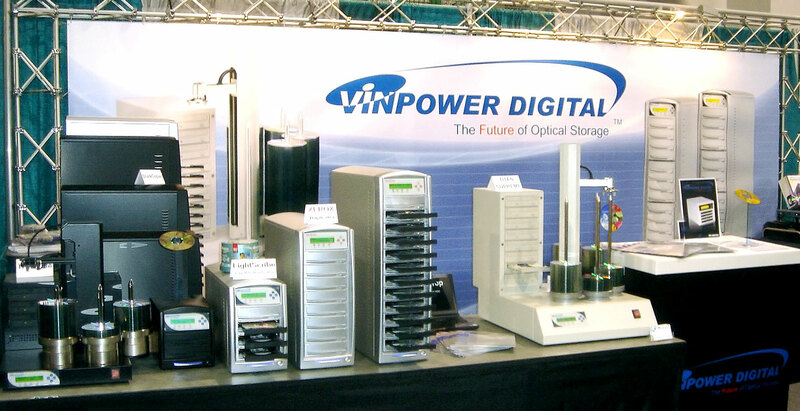 2008 is expected to be an extraordinary year for Vinpower Digital, with the release of many new products for a more complete line in terms of optical duplicators. That day 3 of our engineers, headed back to the office first while 4 of us remained at the show. 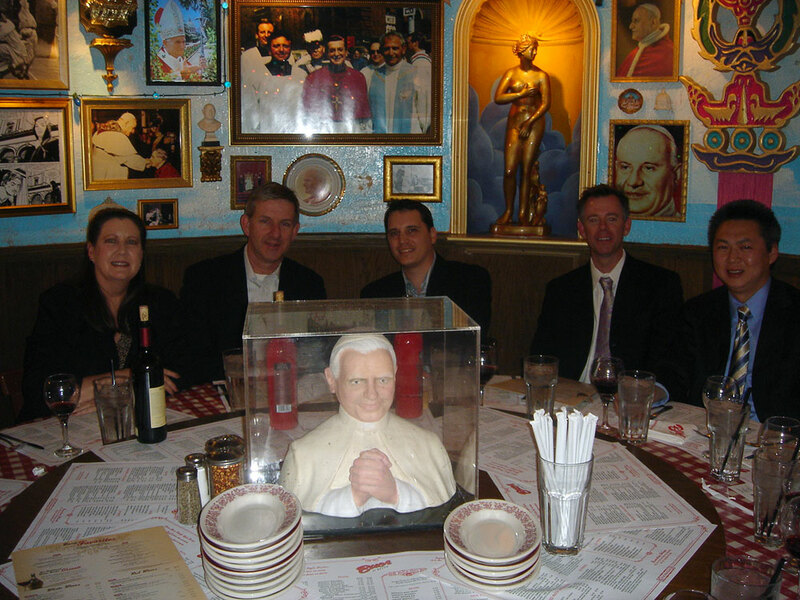 That night we had a dinner meeting with the team from one of our valued vendors. This day was a little bit soft compared to the previous 2 days. Because the traffic flow had slowed a bit, my co-workers took the opportunity to explore around the show and look around. That day we received a very nice visit from one of our vendors in Taiwan. The last day was the shortest in terms of operating hours for the show, but the longest because we had to tear down our booth. The show ended at 4pm but we finally finished packing everything around 7pm. With nothing left to do, we start heading back to California. However, to our surprise, we had a lot of visits that day from some of our vendors, resellers and customers taking the opportunity to see us before we head home. Some of our Vendors from the last day. We had a great time at the CES show, which was an unforgettable experience. We had so many things to do including preparing and setting up the entire booth by ourselves as well as clean it up too. So it was tiring but such a great experience too! The best thing is all of the positive feedback from the show, which makes us more confident about our new products. The last day of the show was Ryanâ€™s birthday, so we made him a small paper cake, and sang happy birthday to him. Mandy & Alec with a big doll. Has Blu-ray finally won the HD battle? A major blow was dealt to HD DVD when the last remaining major Hollywood studio to definitely pick a preferred format, Warner Bros., chose to back the Blu-ray contingency and release all future home video projects on Blu-ray only starting in May 2008. This announcement all but halted any momentum that HD DVD was making in hardware sales due to the significant lower sales price compared to Blu-ray players. In some cases the price difference between a HD DVD player compared to a Blu-ray player was as much as $200 ~ $300. â€œAccording to raw retail data collected by NPD, consumers bought just 1,758 HD DVD players the week of Jan. 12, down from 14,558 players the week before. In contrast, consumers bought 21,770 Blu-ray Disc machines, up from 15,257 the previous week. Even though individual week sales does not create a long term trend, itâ€™s safe to say that content will be a larger driving force compared to hardware pricing. Even though HD DVD plans another aggressive price drop shortly on the players, if the content doesnâ€™t exist, consumers are not likely to want them. At this time, the Blu-ray camp includes Warner, Fox, Sony, Disney, & Lionsgate which together account for approx. 68% of all home video sales while the HD DVD camp is comprised of Paramount & Dreamworks accounts for approx. 22% of all home video sales, based on estimates from Jan. 1, 2007 through Sept. 30, 2007. The remaining 10% is made of various independent studios. This deficit is far too wide to overcome based solely on hardware pricing. The consumer is smart enough to realize that if they canâ€™t find titles for their HD DVD player, it would be a bad investment. Considering how much has been spent by both the HD DVD and Blu-ray contingencies thus far, I donâ€™t see HD DVD giving up just yet. However, it would be a major coup if they are able to recover at this stage to overcome such a significant deficit. To put this in the concept of baseball, itâ€™s the bottom of the ninth and the home team is down by 20 runs with 2 outs. Can they rally and come back to win, sure itâ€™s possible, but is it feasible, I think not too likely. 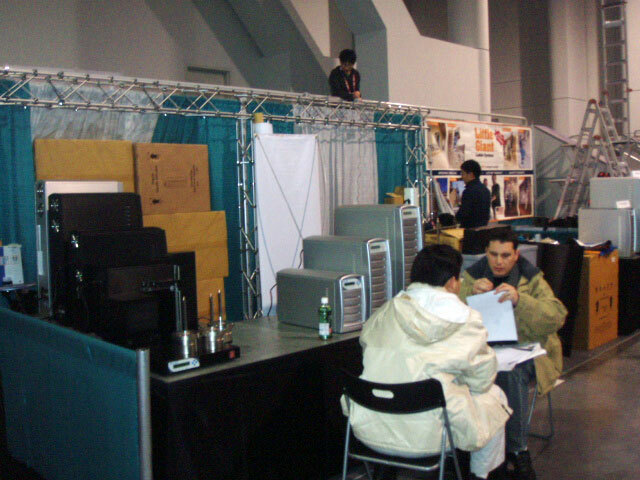 Recently we exhibited at the CES convention in Las Vegas, NV where we introduced our newest products set for release in early 2008. We showcased the Xerox Duplicator, the SharkCopier LS, the SharkCopier DC, and The Cube autoloader to much excitement and anticipation from those who visited our booth. The Xerox Duplicator offers a new twist on the typical standalone duplicator in that image files can be transferred directly from a PC onto the Duplicatorâ€™s internal hard drive. This saves time and ensures the highest quality duplications because the HDD is a better source than copying disc to disc. The SharkCopier LS is a revolutionary product in that it can copy and print in a single standalone duplication tower. Using the LightScribe labeling technology, the SharkCopier LS can be used as a standard duplicator then you flip the disc and you can print directly onto the disc using the same drive. This eliminates the need for ink or ribbon saving money and time. The SharkCopier DC is perfect for the heavy volume user. Using a daisy chain technology these units can be linked together where multiple towers are controlled by a single source. This will allow a user to link hundreds to thousands of towers together that all work in unison making thousands of discs at one time. The Cube is a single drive 25 disc capacity autoloader that is perfect for users with little time and less money. At a very low price point, The Cube is perfect for any office or home environment. With the reliable robotic capabilities, the user can attend to other issues while their project is being copied. We had a tremendous response on these new products as well as our standard line and I really look forward to introducing these products to a wider international market when we attend CeBIT in March. Xerox is undergoing a major transformation to reestablish the brand as more than just a paper copier company. For many like myself, when we refer to making multiple copies of documents, products, etc. on paper, I would often refer to it as â€œXeroxingâ€ them. In an effort to further expose the Xerox brand beyond this functionality, they have recently announced a major re-branding effort as well as establishing a number of new patents and products. In fact Xerox was awarded 584 patents in 2007, a remarkable feat. In addition, and more related to the topics of this blog, there will be a new addition to the Office Products line of merchandise with the introduction of the Xerox Duplicator series. This new innovation on the standard optical disc duplicator series offers the unique â€œDrag & Dropâ€ function which allows the user to transfer image files directly from a PC onto the Xerox Duplicatorâ€™s internal hard drive. This will save significant time over the standard method of burning a master disc and using that to load one image file at a time onto the duplicatorâ€™s hard drive. The Xerox Duplicator falls in line with the original concept of reproduction and duplication that Xerox was known for as well as fits into the new direction of innovation and technology that Xerox is moving towards. Looks like a perfect fit for the company and its clientÃ¨le ready to move into the new millennium of the Digital Age! The Xerox Duplicator will be on diplay at our booth at CES in Las Vegas, January 7th to January 10th.